These words from the Tao Te Ching are my mantra. They inspire me to identify with and live larger than what I appear to be individually. I turn to this felt-sense of self when I want to have a clearer, purer, more expansive sense of who I am at heart, when all that’s extraneous is removed. The words refer to the Tao, that which is all-pervading, all-embracing, unchanging and unceasing. But I take them in a more personal way, as something to aspire toward–as a mother, a writer, a homemaker, artist, citizen. The world has much need of our mothering. Each part of the mantra inspires me. “Able to be” speaks to the capacity, the potentiality, of all humans, male or female, to aspire to something more, something beyond our current understanding of who we are or can be. “Something more”–that intangible, mysterious Other we yearn toward. 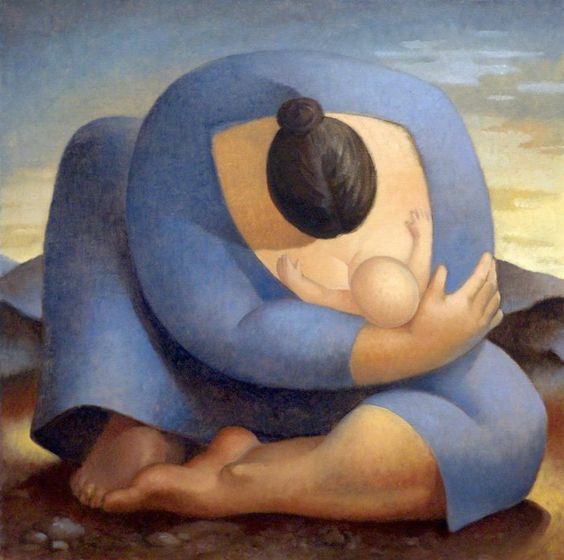 “Mother” is the symbol of all things round and fertile, life-giving and nurturing. Unconditional love and acceptance. The ground or source of being. The creator.It refers to inscrutable urge to turn ourselves inside out, to bring that which we love into fruition. “World” refers to the entirety of creation, the universe and all that lies within. But it also refers to all that is yet to be. All those intangible, interior unwritten landscapes. It refers to that hidden nebulous thing within which longs to be brought into full, vibrant, elegant being. The mantra leans toward the female but the male is not excluded (note how the words male and man are included within the words female and woman).It’s impetus is the male and female in blissful, rapturous union. The male rooted within the female, the female pierced by the male, the two wrapped together, one being. 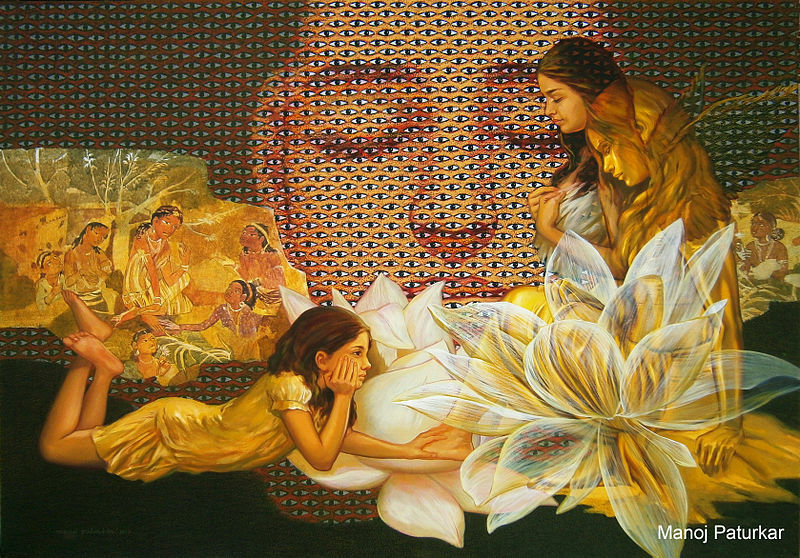 No “mother,” no “creator,” emerges without this union. No creation, no art, no worldly domain. No new life or exterior being. There’s a sense of fullness here, within the mantra. A sense of completion, satisfaction, fulfillment. A sense of power and presence. Powerful presence. There’s nothing static or final about it, despite the fullness, the sense of completion. It doubles back to the “able to be” part: Capacity. Potentiality. Ever fertile. Ever reaching toward the intangible, the unknown, to bring it into being. Ever reaching toward that “something more” waiting to be born. When I meditate on this mantra and feel its full potential within, feel myself as some reflection or expression of that woman “able to be the mother of the world,” I know I’ve come home. Home within myself, and within this world that embraces me. The novel I am working on is about relationships between mothers and children and all the ways that is expressed, from the most fearful and destructive to the most trusting and freeing. So I’ve been thinking a lot on this topic lately. But I know that I mother my own children best and make fewer mistakes when I’m able to embrace them in that larger, more expansive way. And it feels more natural, less constricted, to mother that way. Walking through the village on Nuka Hiva down narrow, winding roads, past pastel-colored houses surrounded by gardens overflowing with flowers and dense tropical foliage, melting in the heat and humidity and the perfumed air . . . . . I felt physically and mentally assaulted, overcome by the intensity of the colors and the abundance of the beauty that surrounded me. 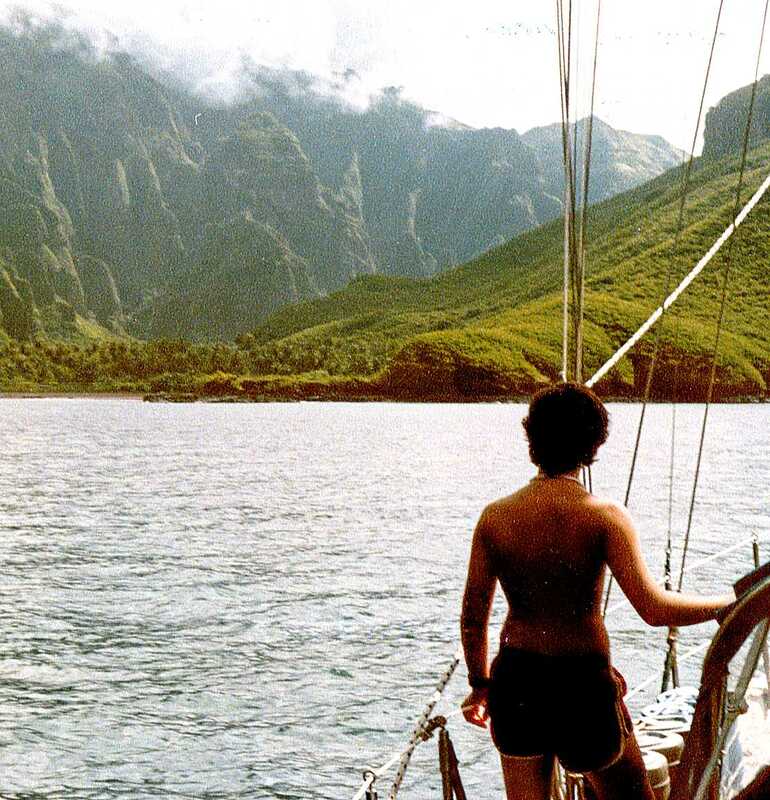 Perhaps it was because we’d been so long at sea, or because this was our first glimpse of a tropical paradise. Or perhaps it was for me as it has been for so many artists and travelers coming to the South Pacific for the first time. Colors exploding all around me, shattering the senses—sight, smell, and sound washing together. Undulating waves of color, wrapping around me, streaming through me, carrying me away. This sense of being awash in, or assaulted by, color, stayed with me and revisited me often on our travels through the South Pacific. Sometimes it was a soft, sensual immersion. Sometimes a harsh, brutal slaying. It knocked me off my feet and broke me open. I swallowed it whole. It all came together one day in Moorea in the Tahitian Islands. 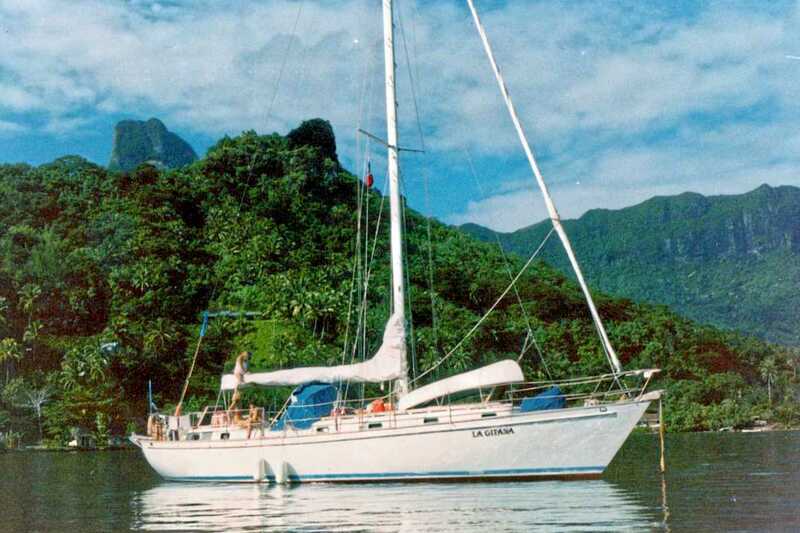 La Gitana was anchored at the end of a deep cove, with green mountains walls on one side and a valley opening up between them. On the other side was a bluff with a small cottage surrounded by a flower garden that trailed down the rocks toward us. Each afternoon magnolia tree blossoms would drift down into the sea and our daughter rowed among them, gathering the sweetly scented flowers. As beautiful as it was down here on the water, I kept wondering what it would be like up there, in the garden on the bluff, walking among flowers. 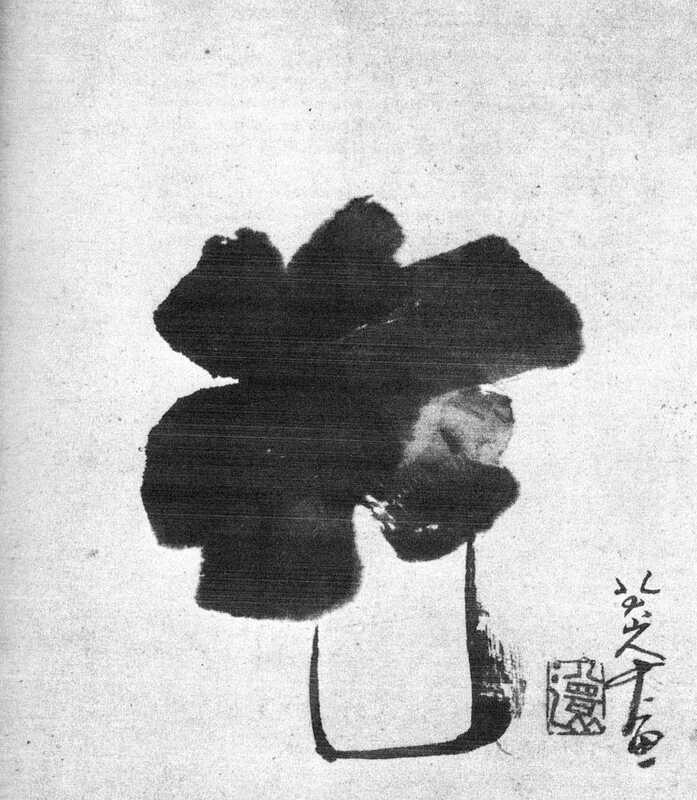 One of my favorite drawings in the book is Flower in Vase by Pa-ta san-Jen(1626-1701). There is nothing beautiful or delicate or uplifting about the drawing, but it affected me deeply, physically, like a punch in the gut. Heady stuff. All I know is that the drawing affected me much the same way I felt when being “assaulted by color”: something in me is shattered and released at the same time. The poem I wrote that day in Moorea captured something of that. Beauty is not always gentle and soothing, or sweet and sensuous, or uplifting and reassuring. Sometimes it can be blunt, brutal, shattering. As “red in tooth and claw” as the untamed wilderness Tennyson wrote about. I doubt beauty is meant to simply sooth or sate or inspire us, but to break us apart and open us up. Much like all great art must do. 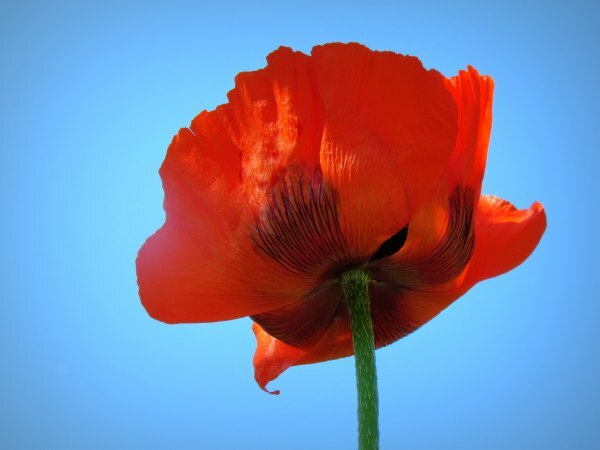 Think of Van Gogh’s starry nights, or Picasso’s abstracts, or O’Keefe’s flowers. Was Monet’s impressionism or Seurat’s pointillism pretty ways to put paint on canvas, or ways to reveal how light and color and shapes and all manner of things break apart and open up and take us in. 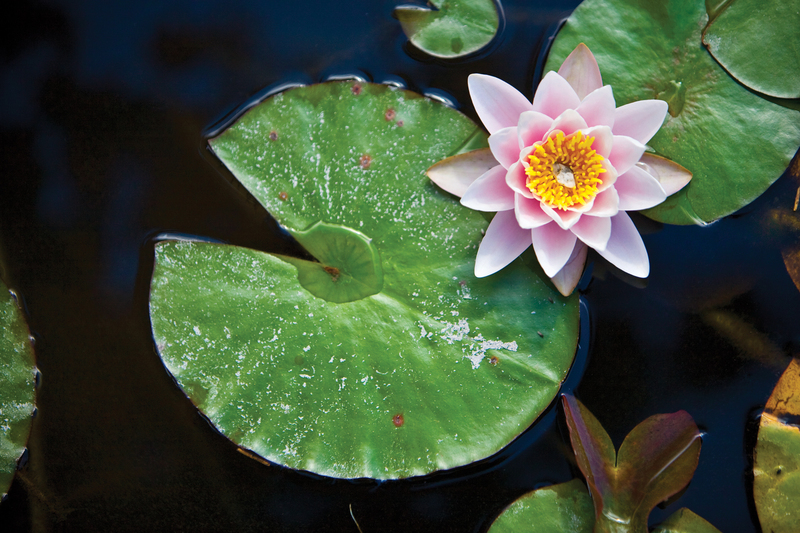 Ways to become immersed in the stream of things. “Walking Among Flowers” is my way to revisit again and again that shattering into the stream of things.